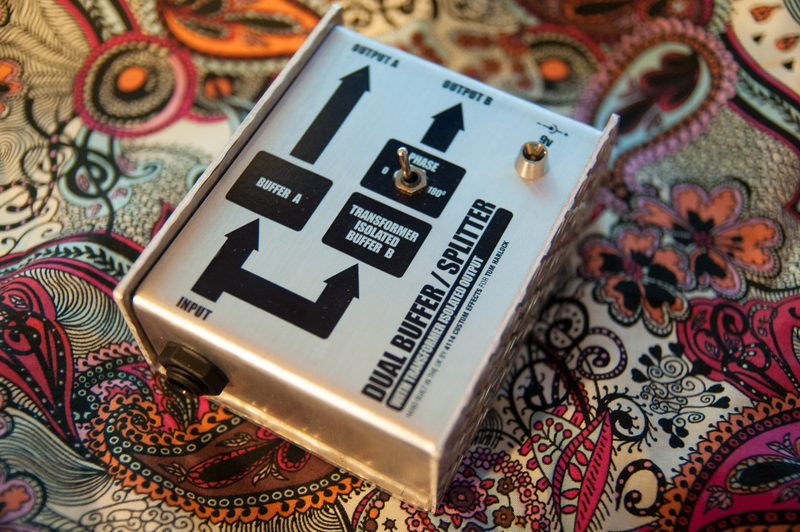 Here’s a flipping brilliant pedal – the Dual Buffer / Splitter. Plug your guitar into the input, the signal is then split into two great sounding buffer circuits, providing two separate outputs. 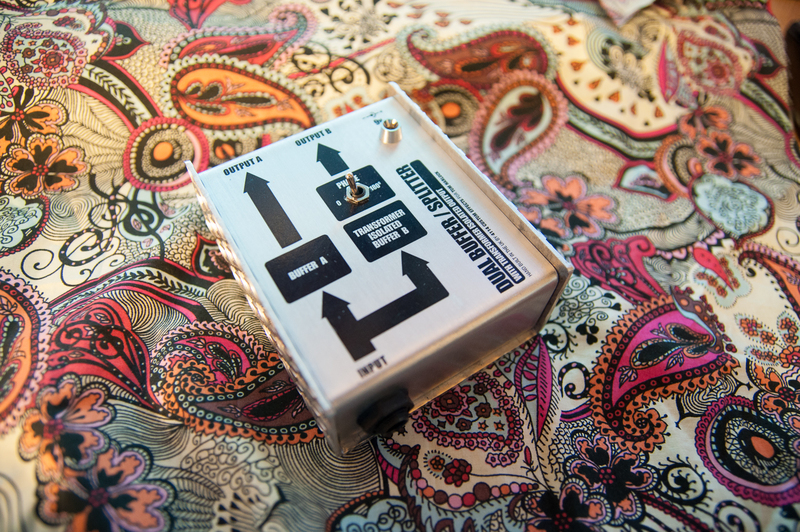 The second output is fully transformer isolated, which removes any potential ground loop issues, and also has a switch to reverse the phase, to eliminate phase issues between the two amps. 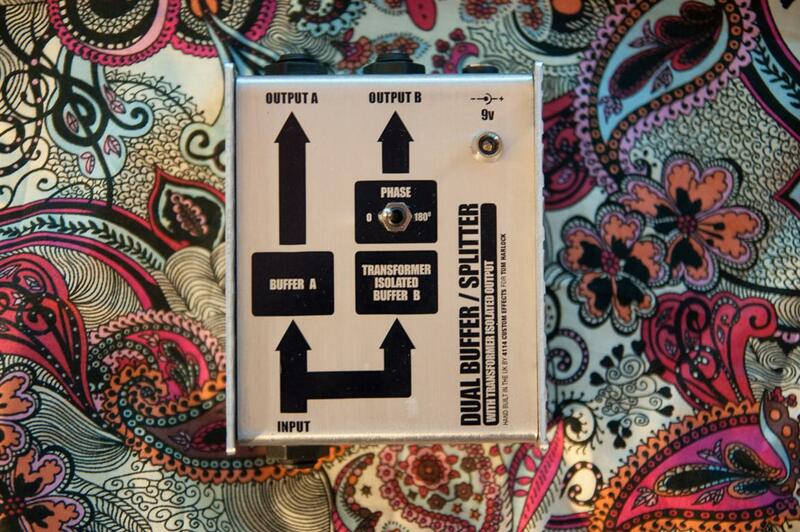 An excellent addition to any rig!